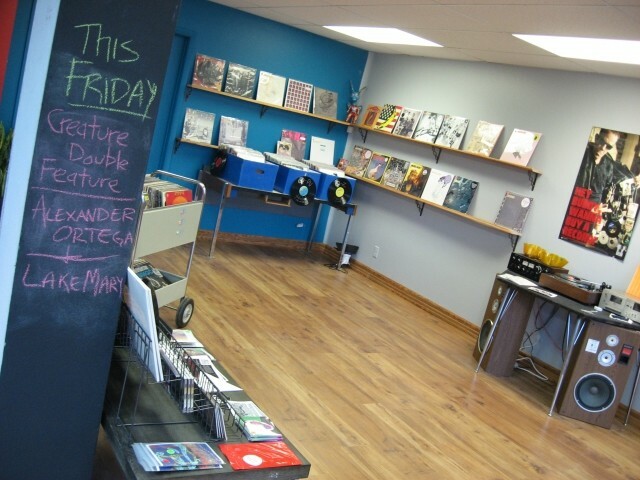 Whenever you have a robust music scene cranking out new tunes every week, there's going to be a need for locally owned music shops. --- Because in all honesty, those are the shops that will actually carry and promote local albums to the masses as opposed to shelving them in the back while they impatiently wait for you to purchase the latest thing that hit the floor. Thankfully, we got a new shop on the market that's helping do just that. Gavin: Hey, Adam and Alana! First thing, tell us a little bit about yourselves. D.R. : We are both Salt Lake natives. We live in South Salt Lake now with our three dogs. We connected early in our relationship over our passion for music. We go to as many shows as possible and are always looking for new and interesting bands and artists. Gavin: What got each of you interested in music and what were some of your favorites artists growing up? Adam: We both come from families that played the stereo very loud every Saturday morning. My dad was a DJ in college, and so I had his immense record collection to dig through, which is where I found Bowie, Dylan and Tom Waits, my all-time favorite. When I was in high school, I had some terrible taste but stand by my love for the first two Korn records. Then a friend turned me onto Modest Mouse and shows at Kilby Court, and that took over everything. Alana: Music was always being played in my house. I listened to a lot of pop and classic rock from my stepfather, who was a drummer. My mother is from Panama and my father is from Venezuela, so I also heard a lot of Latin and soul music. At the age of 8, I started developing my own taste in music, which included all-time favorites Nine Inch Nails, Radiohead and Prince. Gavin: Did you start having a record collection early on or later when you grew up? D.R. : A healthy chunk of our records were given to me by my dad, but I didn't really get into collecting until I was working at Slowtrain. Before that I had a HUGE CD collection, but when I switched to buying vinyl, it was over for me: That was all I wanted to buy. Gavin: When did the two of you first meet each other and eventually get married? D.R. : We met through our mutual friend Miguel, at a joint birthday party for him and Alana. That was in March of 2009, and we were married in August of 2010. Vile Blue Shades were supposed to play at the wedding but broke up, so we had Laserfang play, who were amazing. Gavin: When did the idea to start your own record shop come about? 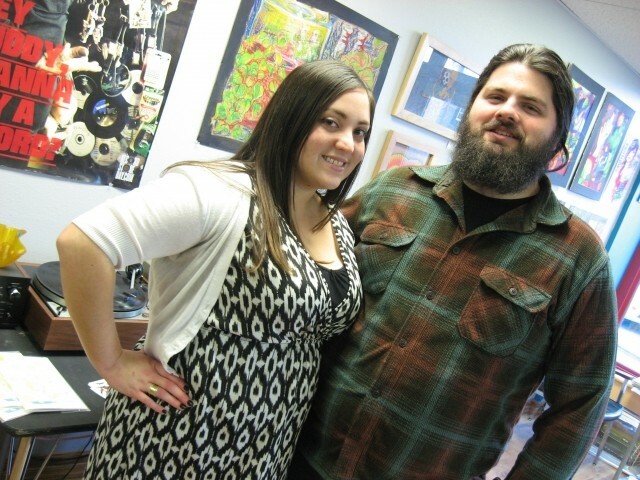 Adam: Alana is very goal oriented and I was always fairly directionless, so when we were engaged, we started talking about goals and all I ever wanted to do was own a record store. I come from a family of entrepreneurs, so I always wanted to start a store instead of managing a different one. We were presented the opportunity to buy Slowtrain and had it almost done before the bank decided to pull the rug out from under us and we lost that chance. Ever since then, we have wanted to find a way to have our own store. 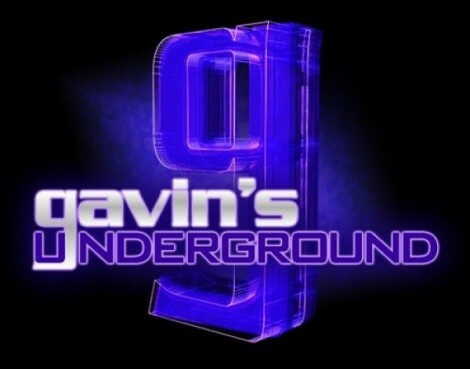 Gavin: How much planning did you put into it early on, and where did the name come from? D.R. : We've been planning since the Slowtrain deal fell apart. It was a whirlwind when it started, though. We found the space at Granary Row, got approved for it and were open one week later. We had a lot of help from friends, especially Kelli Tompkins, who painted an amazing mural for us. The name is something Adam came up with for a record-label name when he was 16 or 17 years old and he never let it go. That was always going to be the name of our store. Gavin: What made you decide to open it up on Granary Row during their first year? D.R. : Budget. Granary Row is a fantastic place for some people with limited resources wanting to test if a crazy works. We were able to book shows and Alana worked at the Uinta Beer Garden, so we had our two favorite things right in the middle of 700 South: beer and records. Gavin: How was it setting up shop in the containers and running the place while they held events? D.R. 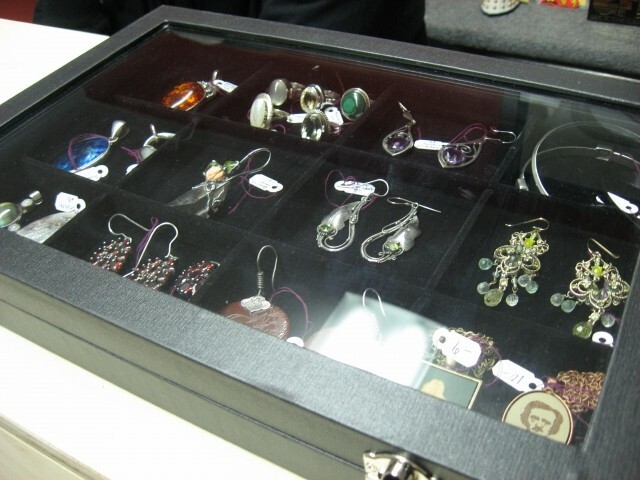 : It provided a great opportunity to connect with local businesses, artists and musicians. We got to know so many amazing people. It was interesting being in a shipping container, but it was great. The hours were the hardest thing, and the weather. We were forced to close whenever there was lightning, which happened a lot this summer. Gavin: What kind of a challenge was it getting a catalog to sell and setting up connections with labels? D.R. 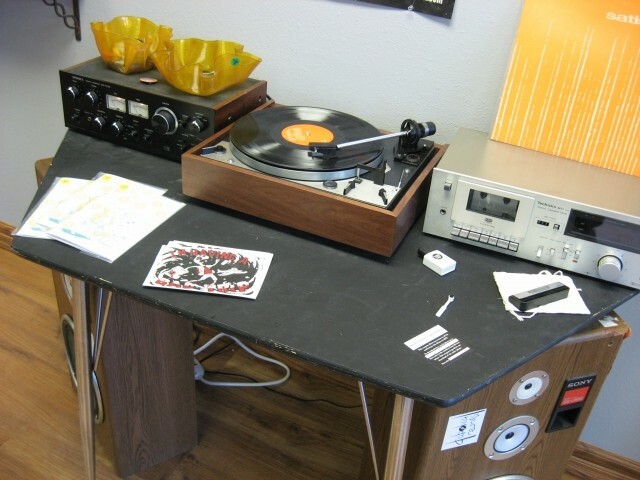 : It was hard to connect with people who were selling records to build our catalog, but once we got it going, we received so much support. 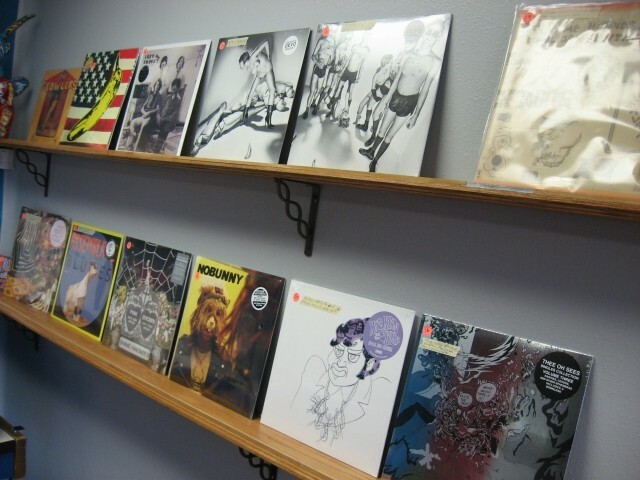 We were able to build relationships with Revolver pretty quickly and with Burger Records in California. We also have some great friends who sold us their used records and told all their friends to do the same. 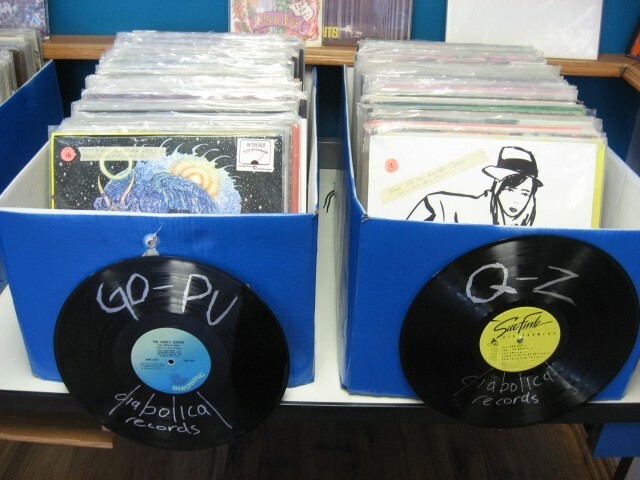 Gavin: During your run at Granary Row, what made you decide you wanted to make Diabolical Records a full-time business? D.R. : We were consistent with sales and knew there was a gap in the market that we were able to fill, especially offering a location to sell local music. Plus, once you get the taste of owning your own business, it's hard to clock in and out of someone else's. Gavin: What was it like searching for places and how did you come across the location on Edison Street? D.R. : Alana works with the state, and on her lunch break saw the location on Edison Street. We loved it from the beginning but it wasn't until an offer fell through for us at another location and for the landlords at Edison that we were able to connect and solidify the space. The landlord is awesome and was cool with us putting on shows, and the location is great for it because no one lives close to it. 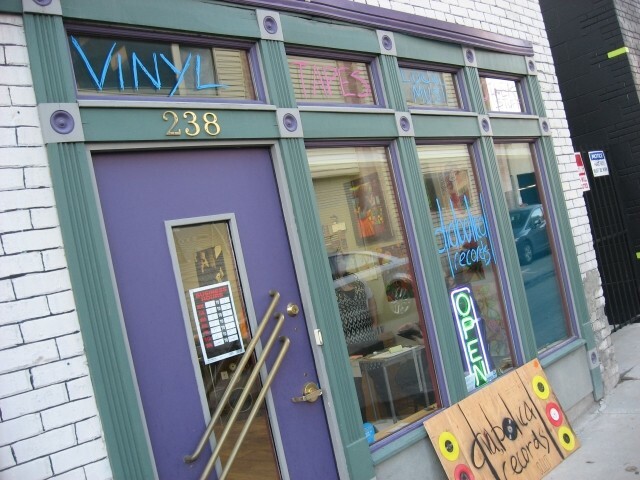 Gavin: How was it transforming the spot into a record shop and opening up the new location? D.R. : We were lucky that the location did not need a lot of work to begin with. We are still trying to set up shelves and a counter so some aspects have been slow going. Most of our current set up is what we had at Granary. We threw a coat of paint on and opened up. Gavin: What was the early reaction from people when you moved in, and how have you enjoyed being there so far? D.R. : People have been excited about the location since it is so close to so many other great businesses downtown. Our live shows on Friday have been especially successful and building in popularity. We have local bands and the amazing Grub Truck parked outside for the shows. She has the best food (vegan-friendly, too) in town. 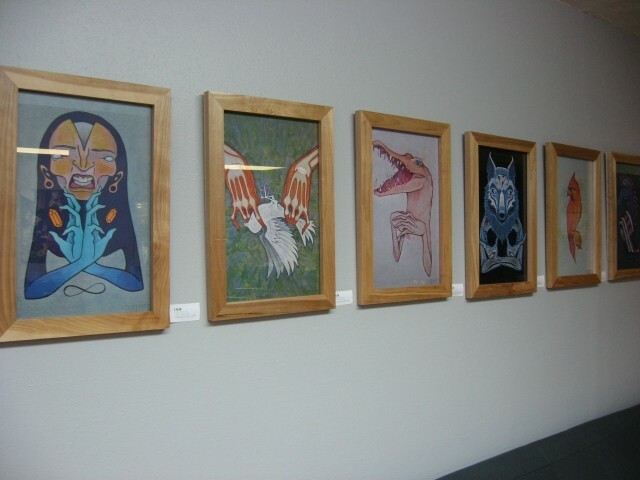 Gallery Stroll was this past Friday, and we had so many people that had never been in before. Our neighboring businesses have been so supportive as well. Gavin: What do the businesses you share the shop with contribute to the space? D.R. 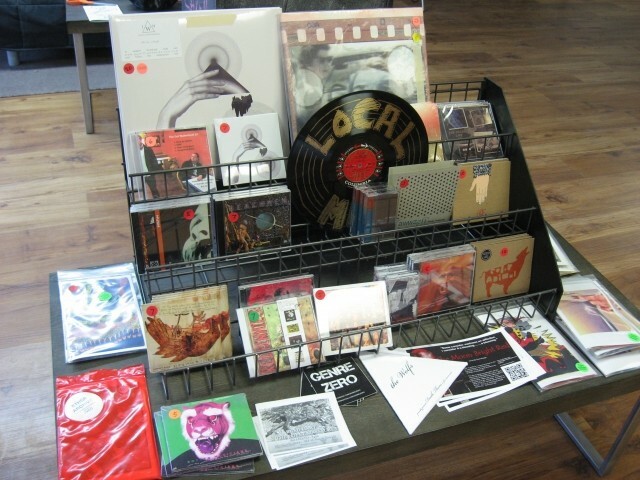 : Albatross Recordings and Ephemera subleases the space and specializes in eclectic/avant/cult/soundtrack weirdness that greatly compliments our garage/psych/indie stuff. We carry all genres, but it's great to have Albatross here to carry these subgenres we're not as familiar with ourselves. Gavin: How has it been helping out the local music scene both in selling music and promoting artists' work? D.R. : I think they've helped us out much more than we've helped anything. We've both loved local music here for so long that it's awesome to be in any way involved. Salt Lake is a criminally overlooked scene, and we want to do whatever we can to get these rad bands the attention they deserve. It has been great to connect with so many musicians and provide a space for them to play locally for free. Gavin: Do you have any plans to expand the shop in any way or are you just seeing how it goes for now? D.R. 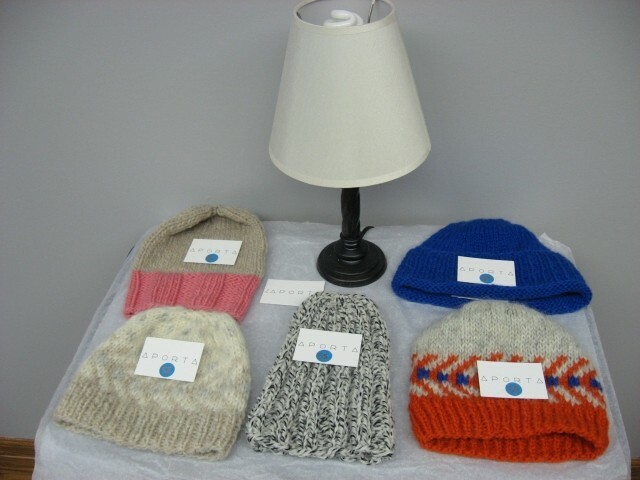 : We hope to grow our inventory substantially in the next few months. Eventually, we'd like to start a limited-run cassette-tape label of live recordings from inside the store. D.R. : The local scene has so much to offer that is just not getting the credit it deserves. There is a pretty amazing scene, the only negative is not enough people are listening in. D.R. : Having live shows on Friday has helped local bands sell a lot of merchandise, but it is a process. We have some more ideas in the works, but it will take time. D.R. : Koala Temple, Chalk, Jawwzz! !, Beachmen, Swamp Ravns and Fossil Arms are all so great and ready to go big with the amount of talent they have to offer. Gut Wrought is new and has a sound like no one else right now. Gavin: What's suggestions do you have for local bands and labels when it comes to promoting their work? D.R. : Play as much as possible and offer music free online. That builds an audience, then people want to come to the shows and purchase merchandise. Gavin: What can we expect from both of you and the shop over the rest of the year? D.R. : Expects lots of lives shows, events, a label and the best record collection in town. D.R. : Support your local musicians and come check out our live shows every Friday. We guarantee you will find a new band to love. Jawwzz!! 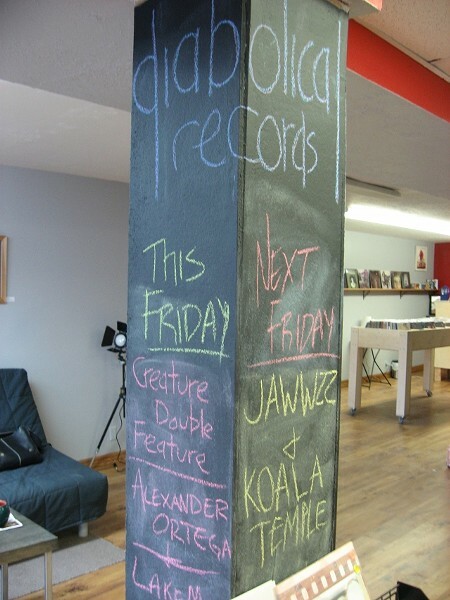 and Koala Temple this Friday at the store. It will be a party so get ready to get weird. Also, Feb. 22 we are having Farrell Fest. Look it up on Facebook and get your asses to the show because Broken Spells are never playing again.